Books set in snowy winter, which fit the stormy weather we are having right now. College student Darby Thorne, driving in the wintry, snowy mountains of Colorado, pulls in at a truck stop, unable to drive further because of the tons of snow that have shut down the state highway and back roads. She meets four other people in the truck stop, also stranded for the next day or so before the snow plows can arrive to clear the roads. In the meantime, the snow keeps coming down. Darby goes outside to her parked car and on the way back spots a small hand of a child through a parked van that belongs to one of the travelers in the stop. She sees a child padlocked in a dog crate in the back of the van, and is too terrified of the situation to say anything to any of the people inside. Instead, she plots a way to free the child and drive her off to safety. Easier said than done. The next several hours brings surprises that put Darby and the child in danger from not one, but maybe more of the people trapped inside the stop with her. She is not sure who to confide in and her decisions may be the wrong ones. This turned out to be a hair-raising thriller, with more twists and turns in the plot than I could have imagined. It kept me going on a snowy day when I was myself kept indoors by snow. What a perfect book for the day! Though the dialogue was a bit stilted, the book carried the day with the plot and action scenes, plus the personality of the tenacious Darby. The wintry thriller I'm reading next is set in the Scottish Highlands, at an exclusive but remote resort with cabins and a lodge set around a loch surrounded by thick pine trees and forests. 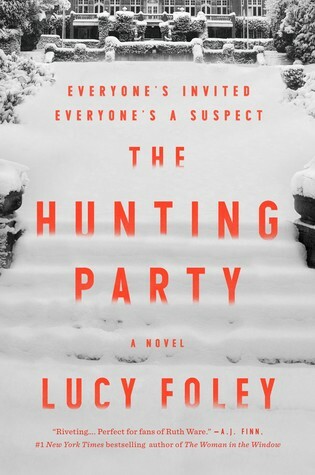 The Hunting Party has a setting we are familiar with from Agatha Christie and other mystery writers - a group of people isolated and alone in a hotel or house, unable to leave, and with an unknown killer in their midst. I can't wait to see who the culprit is, and the motive for murder. The Wild Inside by Jamey Bradbury is next on my list of winter reads. This one is set in the Alaskan wilderness with a young girl Tracy, trained to be a trapper and hunter. She is accustomed to being outdoors running with her dogs, but is one day attacked by a stranger, whom she fights off successfully. When an injured man later shows up, Tracy wonders if he was the one who attacked her. 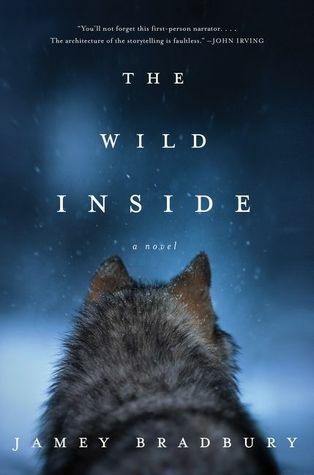 The Wild Inside is described as a coming of age book as well as a psychological thriller. It's Monday, What Are You Reading? by Book Date. What's on your reading list this week? 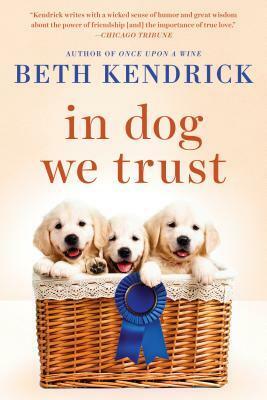 Review of romance novel featuring show dogs! How does a dog walker come to live in a mansion and be co-trustee of three show dogs who have inherited their owner's fortune? Jocelyn finds herself in this enviable position, but there are challenges to her good fortune by the dogs' trainer and by the owner's son. What will come of this and how will or can solutions and compromises be made? And is romance also in Jocelyn's future? A romance of the doggy kind that is easy to read and enjoyable. It's also not a totally predictable plot, which I appreciated. Thanks to Berkley which provided a copy for review. Darby Thorne was six miles up Backbone Pass when her windshield wiper broke, and that bass-baritone voice was just kicking into the second chorus. It was official: he'd be getting his white Christmas. He could shut up about it now. "Do you know the man who drives this van?" 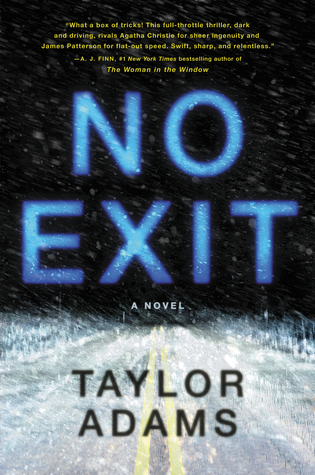 ... four strangers, a blizzard, a kidnapped child, and a determined young woman desperate to outwit a vicious psychopath. I thought this was a perfect setting for a thriller, especially since we are in the midst of winter! 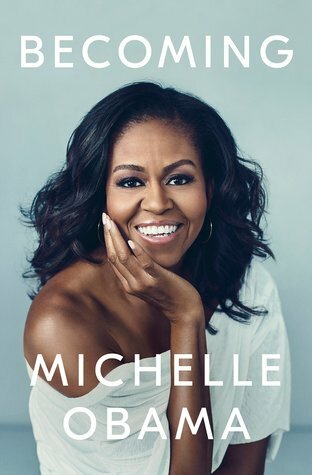 I recently started reading this, my second book of the year, and am enjoying it tremendously, especially since I am familiar with the place in which Michele Obama grew up - the south side of Chicago, including Hyde Park where I lived for over 10 years. The memoir is not just of a woman who became the First Lady of the United States, but is also the story of a middle class Black family in Chicago and children who grew up to succeed. It is also a romance, between Michelle and Barack Obama, before their lives became entrenched in the political. I can't wait to get to that part. 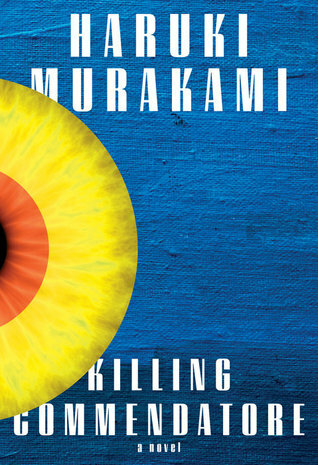 Murakami's book is another of his fantasies. It drew me in, in the same way a pit in the back of the narrator's house drew him in and led him on to voyages reminiscent of Dante's Underworld and the crossing of the river Styx. The above two books, memoir and fantasy/magical realism, couldn't be more different, but I like them both and find them a great way to start off my reading in 2019. This is turning out to be a more traditional kind of romance. It's about dogs and their owner, a young woman thrust into the limelight of becoming caretaker and co-trustee of three famous and valuable show dogs. Her job comes with a seaside mansion that only she has access to. Along the way, she seems likely to meet the man of her dreams. This is delightful light reading. My review. What are your first books this year?